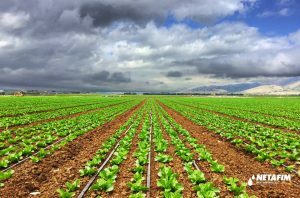 Netafim, a member of the Israel Chamber of Commerce of the Philippines (ICCP), introduced the world’s first drip irrigation system, which effectively overcame dry regions in Israel. 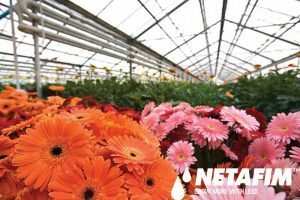 The company, headquartered in the Negev Desert, specializes in irrigation and agriculture technology. Simcha Blass, the company’s founder, discovered that irrigating the land with a balanced and slow drip results in extraordinary plant growth. He decided to pursue the solutions he created by establishing Netafim Irrigation Company in 1965. The company installed its first drip irrigation system the following year, in partnership with Kibbutz Hatzerim, an agricultural commune in the Negev desert. Netafim’s products and technology are available in the Philippines through NetaPhils, Inc., its Davao-based distributor. Netafim has irrigation solutions for both field and orchard requirements. DripNet products are available for corn, cotton, onion, potato, sugarcane, and tea variants. Thick-stemmed or trunked plants like the olive, oil palm, almond, apples, apricots, dates, peaches, nectarines, and wine grapes have their growing and irrigation requirements. The company also provides expert help and advice to its customers. It has over 100 agronomists ready to advise clients on crop type and growing conditions. The experts will show clients how they can maintain the most optimal water, light, temperature, humidity, and CO2 conditions for their crops. They also provide total greenhouse solutions. Netafim’s team services the landscaping needs of both commercial and residential clients. Its solutions for commercial use prevents vandalism, have no run-offs and wind oversprays. They are a precise and flexible treatment for every type of plant, are self-cleaning, have long laterals with a single valve, and avoid root penetration. For roof garden applications, the systems can function with thin root layers, high winds, low pressure, and high weight load that’s typical in any roof garden. Netafim adjusted its irrigation systems to the mining industry in heap leaching for the copper and gold industries, where it provides reliable services in hydraulic design, engineering, and technical support.